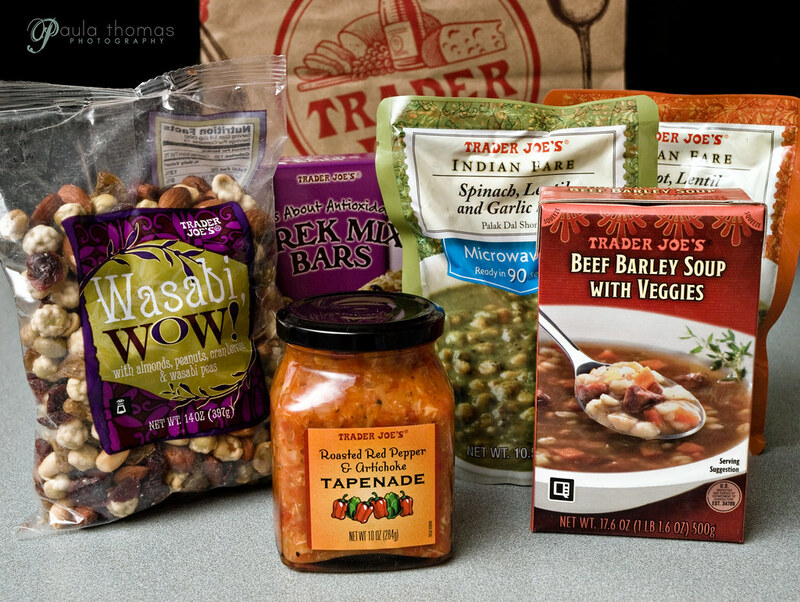 I discovered on Monday that a new Trader Joe's opened on Redmond Way last Friday. This was exciting news. I have only been to one a few times and would go more if there was one more conveniently located to me and now there is! I work in Redmond Town Center so it's not far away so have no excuse not to go. I talked my fellow vanpooler into leaving work a half hour early on Tuesday to go check it out on the way home. I loaded up on some snacks and lunch goodies for work. Below is a photo of the goods. I also got some coffee candy for my vanpoolers. I've already tried out a few of the items: Trek Mix Bars, Indian Fare soup, Wasabi WOW trailmix, and the coffee candy and it's all good. I had expected to see a ton of people there since it had only been open for a few days. It was surprisingly not as busy as I had expected but it was still busy. Each line had about 4 people in it. At least with a smaller place like Trader Joe's people don't usually buy as much stuff at once so the lines went pretty fast. Will definitely be back again.